Choosing an advertising agency is not an easy task. An excellent advertising agency is like a partner in your business. It will drive your marketing functions, help you with business strategies and eventually create a brand for your business. Expert agency is the one which dives deep into clients’ business. They come prepared for a pitch, knows a lot about your business & industry and they will definitely have an opinion about advertising strategies of your competition brands. Afterall, agency is your navigational force. They are the ones who drives your marketing & they must be good at it. A good agency will not exhibit a ‘yes sir’ culture. Instead, it will ask questions, raise doubts about your business strategies and seek suggestions. It may even challenge your marketing suggestions & initiate healthy debates about your marketing strategies. Someone in advertising business should know how to sell themselves. If they can’t sell their own services, how do you expect them to sell yours?? Yes, an SEO agency should have incredible SEO rankings and a video agency should have a super popular YouTube channel. An expert marketer should be on top of latest trends & that’s what matters! Advertising is not just about a good looking creative or a catchy punchline. World have moved on and digital is now rocking the space. Right advertising happens with right mixture of creative & analytical approach. 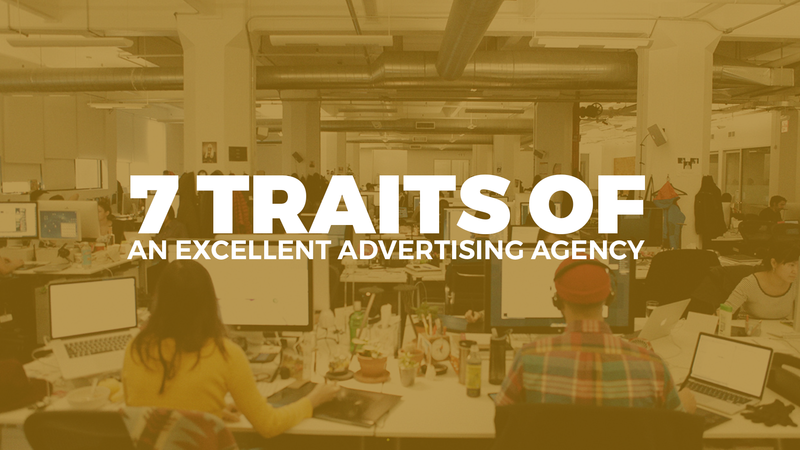 Agency should exhibit right mix of both creative and analytical talent in order to deliver great campaigns. Afterall, ‘Data Drives Digital’ and ‘Content is the Fuel’. Yes. Lot of agencies tend to lose aggression when they take up a project. The world is moving faster than we think. Agency should be fast in adapting creatives and proposing new ideas. How do you check credibility of an agency? Well, there are many ways. Check their experience, clients list, portfolio and ask for references. A good agency will have plenty to showcase. Afterall, they are going to drive major area of your business. Isn’t it? Full service is an old school word. Niche, category specific agencies are in. Times have gone when ‘full service’ agencies used to drive the scene. It’s time for niche, ultra focussed agencies. There are agencies for each type of jobs you need to do for your business. Look for their category niche. Look for their media specific (digital, traditional or mixed media) niche and also look for their expertise in delivering desired results for your requirements. An agency that passes through above filters, is bound to deliver desired results. Hope this post helps you choose right agency for your business. Wishing you all the best for your hunt for next best agency in town. Don’t miss checking out our portfolio and experience – may be you’re just one click away from finding the best for your business.